A caring funeral home that serves bereaved families in Deans, Livingston. The walk behind the hearse to the graveyard was too fast for people to keep up.otherwise the service was great. 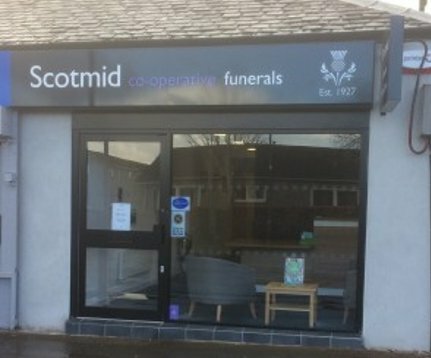 This funeral home in Deans, Livingston is proud to be a part of Scotland’s largest independent co-operative, with a rich history spanning over 150 years. Scotmid is proud to be at the heart of the local communities it serve, their Deans office is situated in the northern part of Livingston. The western area of Deans was formerly known as Livingston Station, as it is the location of former oil works and a railway station. Many people who have lived in this area for a long time often refer to it as such. The office is located next to a Scotmid food store, with plenty of off street parking nearby. They understand that arranging a funeral for someone close to you can be a difficult experience, this is why they will guide you through everything involved, all the practicalities to planning a truly personal service that is both affordable and professional whilst offering support, care and compassion at all times. It’s been carrying out funerals since 1927 with premises across the city – and beyond and can be contacted whenever you need us, day or night. Call now for funeral care and support. Scotmid Funerals, Deans, Livingston will provide you with a free obituary as part of their service.